The Special Collections & Archives at Dana Porter library currently features an exhibit called The New Feminists, showing works by Fine Arts students in third- and fourth-year. Professor Tara Cooper‘s students produced the work on display, and one of the artists is Olivia Carvalho, a second-year honours fine arts studio practice student. Professor Cooper and Carvalho took some time to talk to Imprint. One of the activities conducted with this class is going the library and pull out all kinds of primary materials,” said Cook. When they started the project, Cooper noticed a trend in her class. Cooper said Carvalho “is great to talk to because she was specifically engaged. She was the most specific to actually kind of look directly at certain items within the collection,” added Cooper. Carvalho talked about her experiences and why this project was so important. “I had done a project in my first-year women’s studies class where we had gone in [to the archives], and everyone transcribed one journal entry from Alice Riggs Hunt’s own archival collection that the library has,” said Carvalho. “Then, when I got to back in and really explore the pieces they had on her … they have literally a catalogue of all her stuff,” Carvalho said when she returned. “They have her passport, the sashes she would wear to rallies while she travelled around and convinced women why they needed to vote, and she would write down things like how many women were literate at the meetings she held, which was really cool. That was one of the major focuses of her work,” Carvalho said. Cooper describes the program to be a real little gem. “We’re a small program with 30-40 students that major in fine arts,” she said, “and then we have a whole host that engages with it as a minors or mayb e don’t go through to do the thesis but we have different paths that you can take.” Carvalho said it is hard being in the back corner of campus. Carvalho talked about the praise the program receives from students in fine arts programs around Ontario. Even the president’s office got involved in the exhibit, Cooper told Imprint. “I mean one thing that’s kind of interesting is that the president’s office came to the show and they’re going to select two pieces, as well as some of the [archival] collection will be in the president’s office ,which is pretty nice for us,” Cooper said. Librarian and curator of the special collections and archives, Jessica Blackwell, said they have been wanting to showcase some student work for a while now. There are a few messages Blackwell hopes to get across from the exhibit. “One is just showing all the talent here on campus, all the incredible things our students are creating-some really amazing works. I think the other thing is showing that there’s a lot of types of work or things you can do beyond writing an essay that involve archival materials.,” said Blackwell. “The exhibit has been getting a lot of attention from different parts of campus and has been going very well,” said Blackwell. “We’ve had a ton of response, we had pieces in the daily bulletin and on the library website. I’ve had a number of people stop in and say ‘Hey, I saw that you have a feminist exhibit can I check it out?’ So, it’s been really great,” she added. Blackwell also encouraged students to come to the archives, “You don’t have to come as part of a class or have any idea of what your research is. We’re happy to pull things for you and you can use us as a source of inspiration,” she said. As noted on the university’s website, visitors are advised that the exhibition contains mature content. 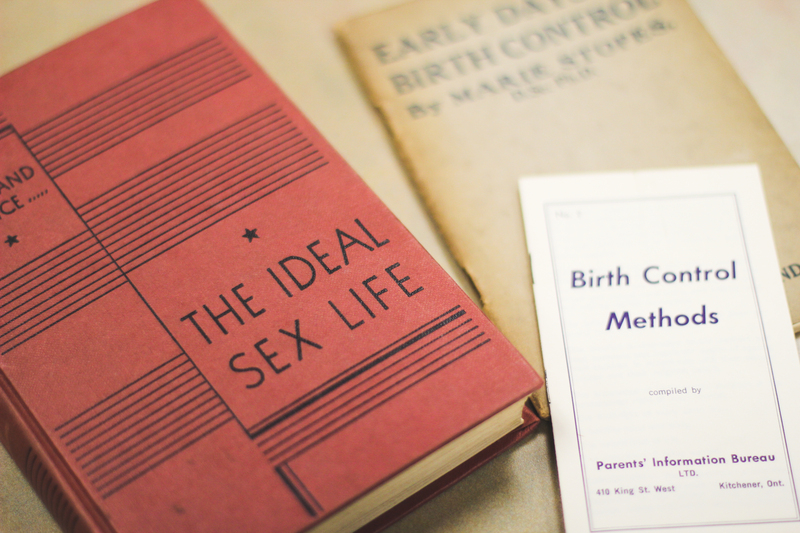 The New Feminists will be on display in the Doris Lewis Rare Book Room until Feb. 28. Is a new ON bill creating fatherless children?